HappyFox provides you with a rich text editor to format your Ticket Responses/Canned Actions and present them in a better way. Login to your Agent account. Go to Manage >> Account Settings. 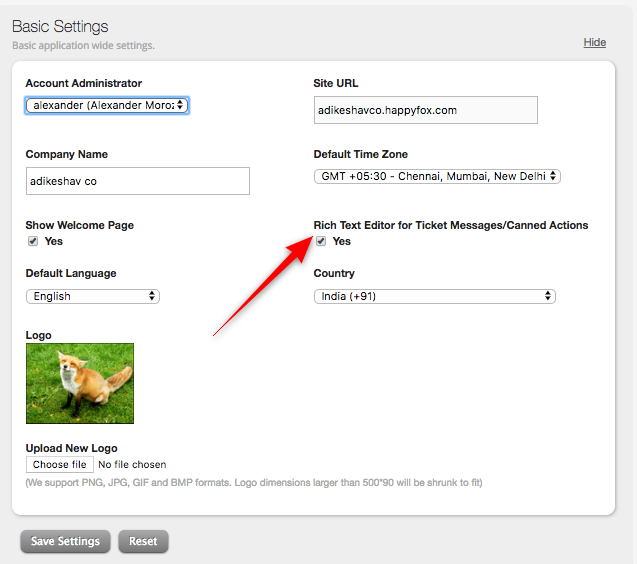 Under Basic Settings, Check the "Rich Text Editor for Ticket Messages/Canned Actions" Checkbox. Click “Save Settings” to confirm this change.